You connect your iPhone to your computer. You expect iTunes to pop up. However, nothing happens. Your computer won’t recognize the iPhone connection. What do you do? 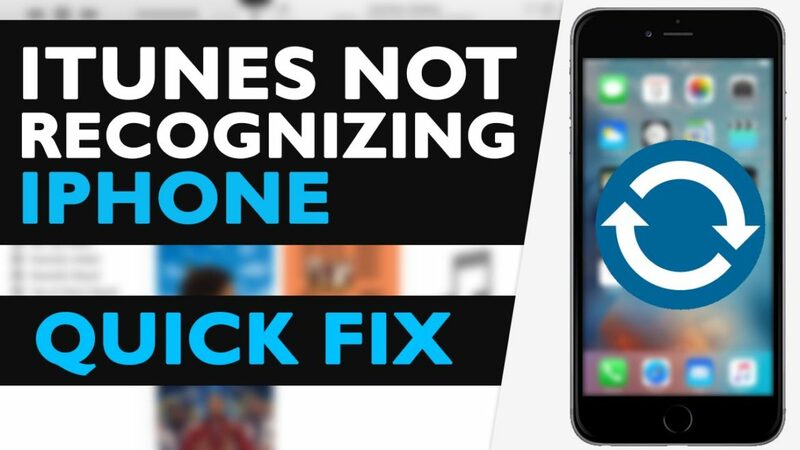 In this article about a computer not recognizing iPhone connections, we discuss what causes the issue and how to fix it using 5 simple methods. Ok. The problem could be the iPhone lightning cable. Try using a different one to ensure that there are no problems with the one you are using. Also, have you tried using a different USB port on your computer? If not, do so now. Furthermore, try the lightning cable with a different iPhone or iOS device. However, connect it to the same PC. Does it work? If yes, then the problem is with your iPhone. And, lastly, with a dry toothbrush, clean out the charge port on your iPhone. Once complete try to connect your iPhone to your computer. If none of the above work, continue with the tutorial accordingly. My iPhone Get Hot Really Quick. How Can I Fix It? Is Your iPhone Battery Yellow? Don’t Panic. Here’s Why & The Fix. Hit the Windows key and search for Device Manager. Tap to open Device Manager. Then, scroll down and click to expand Universal Serial Bus controllers. Here, look for Apple Mobile Device USB Driver. Do you see it? Great! Double-click it to open the properties menu. Then, select the Driver tab and uninstall the driver. Lastly, disconnect your iPhone then reconnect it. Upon reconnecting your iPhone, Windows 10 (or whichever version of Windows) automatically searches for the most recent driver update for your iPhone. Once complete, check that your computer recognizes your iPhone. Why not check out some of these articles? How Do I Customize iPhone Home Screen Apps And Widgets? Is There A Way To Turn Off Autocorrect On iPhone? There could be a problem with your iTunes installation. In order to verify, you need to uninstall iTunes and reinstall the latest version from Apple’s website. Firstly, Go to Apple’s website and download the latest version of iTunes. Then, after you uninstall the current iTunes on your computer, double-click the newly downloaded version to run the install. Once the install completes, restart your computer. Once restarted, open Device Manager. Then, scroll to and Expand Universal Serial Bus controllers. Search for and double-click on Apple Mobile Device USB Driver. From the Properties menu that appears, select the Driver tab. Lastly, select the option to Update the iPhone driver. Once you do the above, try connecting your iPhone to your computer. Does iTunes recognize your iPhone now? No? Then, there are still three more things that you can try. I Cannot Connect To The iTunes Store. How Do I Solve This Problem? Learn How To Make Your Own Ringtones For Your iPhone Using iTunes. Then, go to Update & security > Windows Update. If there are updates, your computer downloads and installs them automatically. Once complete, click Restart Now to restart your PC and complete the installation process. Computer Not Recognizing iPhone After All The Fixes? Ok, if your iPhone is still not recognized by Windows 10 (or whatever version of Windows), then its time to take your iPhone to an Apple mobile device support center near you. If none are in your area, then you may opt to go to a tech repair store. However, always choose a certified Apple store if you have the choice.